One of the most attractive and pleasing mode of journey is the exquisite cruise service. Ernakulam district is one of those places which remains enclosed with various water bodies bounding the district. It is the most beautiful mode of traveling and also the cheapest one to travel at various tourism places in Ernakulam district. 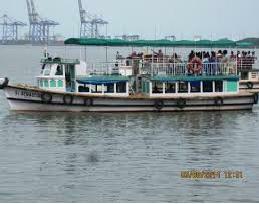 Boat cruise services in Ernakulam district is one of the popular mode of traveling and many people depend on the same for daily traveling at cheaper rates. These boat cruises travel for smaller distances and they have elaborate sitting arrangements for the travelers. Apart from this there are longer routes where one can travel to various nearby destinations and enjoy nature beauty in the most pleasant way. The booking of these cruise services are done through specified companies who deal with the same. They have exclusive packages for different places and their booking is also extremely authentic. They guide the travelers in every possible way. In Ernakulam, there are several cruise service booking companies who have been serving the customer for years with positive feedback. Here are some of these authentic cruise service booking companies for reference.